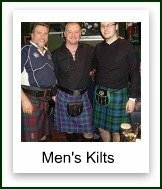 What is it about men in kilts that women find so attractive, and other men seem to admire? 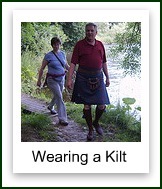 For many women the sight of men wearing kilts increases their pulse rate, and the question of what's under a kilt could be running through their minds. 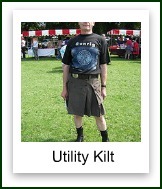 By the way if you want a definitive answer to that particular question, have a look at the page entitled "Under the Kilt", there you can find photographic evidence. 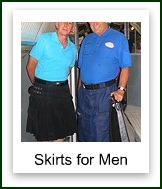 Kilts for men are a far more common sight today than they were when I was growing up in the Highlands of Scotland. 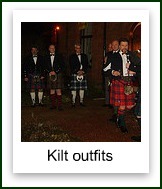 Back then you didn't see kilts being worn that often, at weddings perhaps, and at Hogmanay (New Years Eve), the staff at the local kilt makers, always dressed in kilts, and at Highland Games they were very much in evidence. 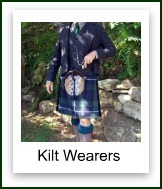 But kilts and Scotland have almost become synonymous, and now men's kilts are becoming every day wear, I wear mine at every opportunity, and I now live in Germany. 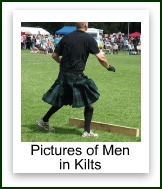 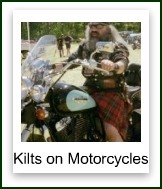 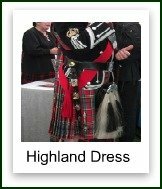 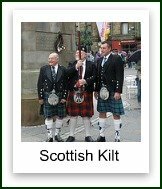 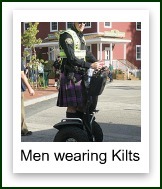 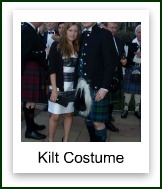 So I have built this gallery page, where every thumbnail is a link to a different page on the website, allowing you to see kilts being worn in many different settings. 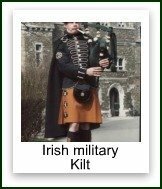 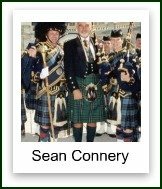 Although I wore the kilt occasionally as a young man, to company functions and weddings, I always rented the outfit as I never saw the need to own one. 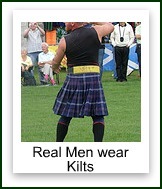 it wasn't until the age of forty that I actually owned my first kilt. 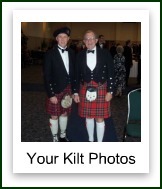 It was a wedding present from my wife's parents, and I bought all the kilt accessories to complete the Highland Dress. 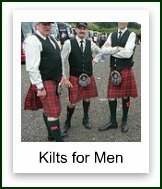 If you would like more information on kilts, or would like some help to persuade your man to wear one, then drop me a line using the contact us page, and I will be happy to help.